Are you a quick learner? Can think on your feet? If you have experience that is even better! 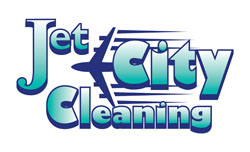 We are a small privately owned carpet cleaning company looking for two full time people. We do more apartment turns than private homes so you will earn more being paid hourly including being stuck in traffic than by commission, as we do not nickel and dime our clients. You will be trained how to professionally clean carpets with a professional demeanor. We are looking for someone with a positive attitude, good people skills and well groomed. If you want to go to work, we are looking for you! Thank you for taking the time to look at us! Drive a company van and operate machinery. ‪Lift up to 65 pounds. Rotating weekly on-call for 24 hour emergencies shared with other employees. You must be available to work until the jobs are done and Saturdays. This could mean working until after 6pm. The average yearly income for our technicians is between $25K-$50K. One week paid vacation after 1 year. We are looking for people who live within 20 miles of Lynnwood as we have emergency on-call service. You get paid hourly starting when you get to work and when you come back at the end of your day, the rate depends upon your experience. You'll start at $12 an hour for training and after you are hired your rate goes higher. As you become more experienced you will be paid more. Along with overtime you earn extra money for each after hour’s emergency call out. We have new vans and equipment and will provide uniforms. We have a family-like atmosphere and have quarterly company outings or parties as we feel teams should not only work together but play together. Job duties include being on-call for emergencies 24 hours a day, 7 days a week in a rotating schedule shared with other employees. On-call lasts one week and rotates so each employee gets one week a month typically. You will be paid more if you can do flood restoration, water damage repair, and carpet repair. This job is not a simple or stationary job, it requires thinking on your feet and trouble shooting. If this sounds like a fun and personally challenging job, then we would love to hear from you!